Get in line, CEOs! The Trump government is handing out free cash, and (shh!) you can still offshore your jobs. For the last 16 days and, indeed, the last 16 months, we&apos;ve been screaming at cable news and certain factions of the political press about normalizing Donald Trump. Specifically, anchors and pundits alike have been taking Trump at face value, while discussing his awfulness as if it&apos;s merely politics-as-usual. 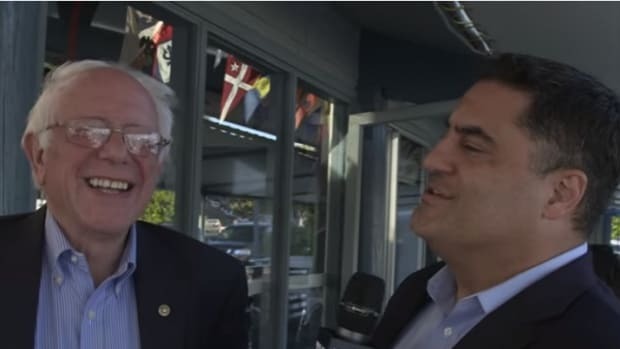 This is one of many reasons why it&apos;s both intolerable and insufferable to watch the following video in which self-identified Bernie Sanders supporter and host of The Young Turks podcast, Cenk Uygur, genuflect before Trump&apos;s tiny orange feet. 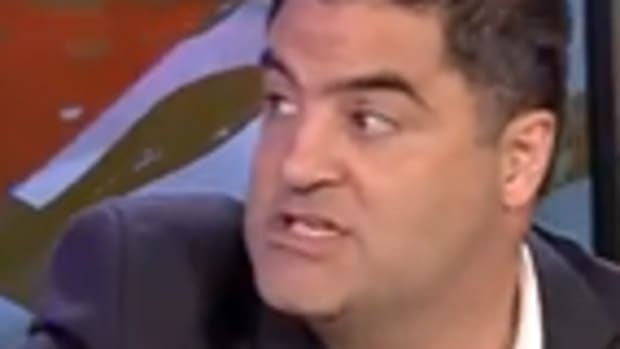 Here we see Cenk defying logic and reason in order to praise the president-elect&apos;s ridiculous Carrier factory deal. 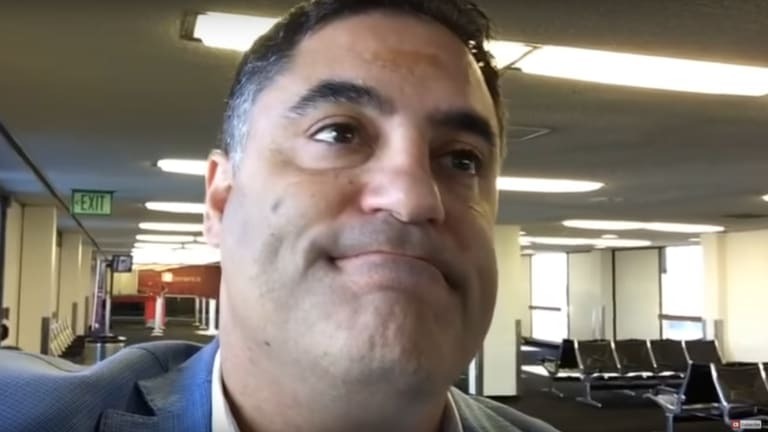 CENK UYGUR, THE YOUNG TURKS: So, credit where credit is due, Donald Trump scores a big victory today. Uh, he got Carrier, that company in Indiana that makes furnaces and air conditioners to keep a thousand jobs in Indiana instead of moving them to Mexico. Now, the devil&apos;s in the details but here you&apos;ve got upside and downside. So, I&apos;m not unaware of the deals that he had to make to get that deal done. So, for example, one of the things they included in that deal for the company was tax inducements. So, what does that mean? 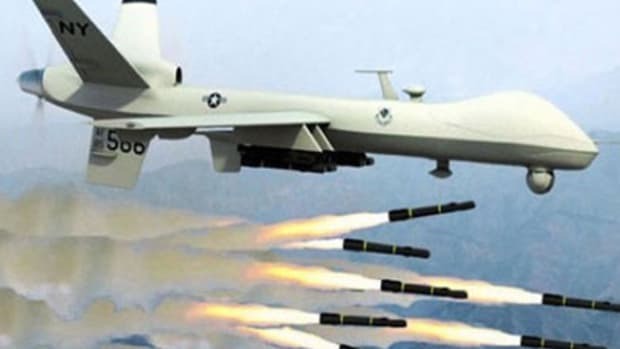 That means that likely that company will get tremendous giveaways from the U.S. government. So, Trump talked a big game about how he was going to bully these companies, and threaten tariffs and stuff. Instead in this deal, it seems they are going to back off the tariff stuff, and instead give the company tax cuts. So, I get it. I get the downside of this. But now let&apos;s talk about one of the things he did that was actually really positive. He said, look, your parent company United Technologies has a lot of government contracts. IF you want to get United States government contracts, you&apos;re going to have to keep some of your jobs in the United States. Now, this is exactly what I&apos;ve been saying to Democrats and President Obama. That you could do this stuff. If you really want to apply pressure, there are a thousand ways to apply pressure. But they would never do it. I&apos;m sorry, if you&apos;re a Democrat, and you like Obama, I hate to break your heart and you want to hate me for it and that&apos;s okay, but Obama wouldn&apos;t have done that. That&apos;s not who he is, he is not that guy. And in this case, it is an absolutely fact. Because he is president right now. 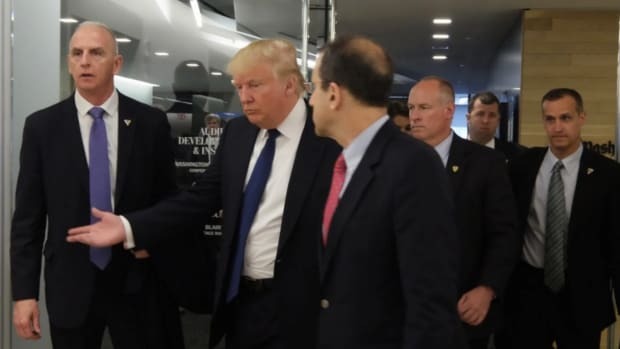 If he wanted, he could have pressured Carrier. But he didn&apos;t pressure Carrier. He didn&apos;t pressure United Technologies, and he didn&apos;t threaten to take away their contracts. Because he&apos;s not that strong. And he always thinks, his default mode is there&apos;s nothing we can do. You guys don&apos;t understand. There are consequences. No. I do understand. What I&apos;m asking you to do is to risk those consequences to protect American workers. Nobody is going to remember the downsides of that deal, no one is going to worry about those tax breaks later. It is going to be a huge political win for Donald Trump, that is by the way, as I just said, somewhat earned. There are so many options that the Democrats never choose to use... They want to outsource the jobs, let them outsource the jobs. Threaten their government contracts? Yes, you threaten their government contracts. That&apos;s called being strong! So I told you there would be some small upsides to Donald Trump winning, because at least he is strong. There are a thousand downsides and we have a thousand videos to talk about those. But we have to give credit where credit is due today. They got this deal done, and not only will it look great... but it actually saved a thousand American jobs. Strength, it matters. It isn&apos;t unsophisticated to talk about strength. It is smart...Democrats, as usual, you ought to be embarrassed. This is maybe the dumbest thing Cenk has ever said, and that assessment obviously includes the normalization of Trump and his awful deal-making. First, this is only a "big victory" for Trump insofar as he&apos;ll be allowed to lie about it to his people without any real watchdogging from Cenk or, for that matter, the usual suspects on cable news. The deal would cover 800 Carrier workers from the Indianapolis furnace plant and an additional 300 research and headquarters positions that weren’t slated to go to Mexico, according to another person briefed on the deal. The company still plans to move 600 jobs from the Carrier plant to Mexico. It also will proceed with plans to close a second plant in Huntington, Ind., that makes electronic controls, moving 700 other jobs to Mexico. Furthermore, this grand bargain will incentivize other CEOs to threaten the Trump administration with (fake or real) moves to Mexico and elsewhere in order to extort more corporate welfare from the White House. And Trump has no choice but to make the deals regardless of whether the outcome is a net jobs savings or whether the offshoring threats are actually legitimate. 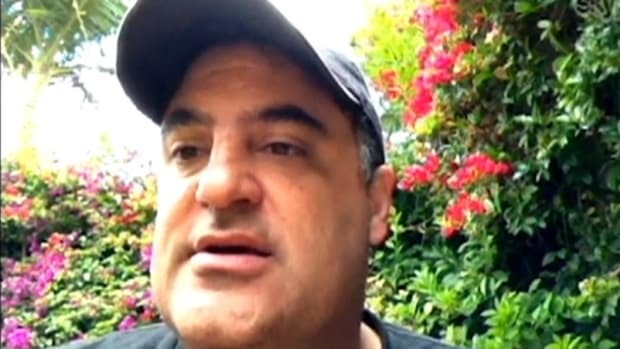 Now, as for Cenk&apos;s remarks about the weakness of the Obama administration in contrast to Trump&apos;s alleged strength here, this is the brand of crapola that will further embolden Trump&apos;s autocratic tendencies, knowing that even voices on the left are willing and ready to endorse dubious moves like this Carrier mess, while also throwing the successful current president under the bus. Not only that, but Obama&apos;s boldly and strongly saved between one and two million jobs in the auto industry alone. Upon taking office in 2009, Obama saved 200,000 jobs in Detroit, which, in total, expanded to nearly two-million jobs across the entire auto manufacturing sector by the end of 2009. Yet Cenk thinks Obama&apos;s too weak for big deals. 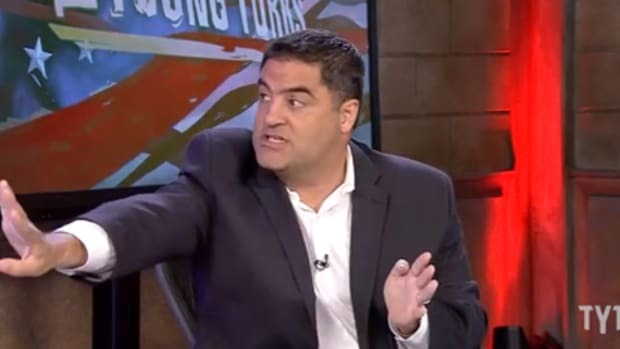 Cenk also thinks this was just about Trump pressuring Carrier by threatening to cancel its government contracts. Fine -- if the contracts were the only carrot on the stick. They weren&apos;t. This was absolutely about Trump putting together a sweetheart deal for a corporation in Mike Pence&apos;s home state, by the way, and disguising it as job creation. 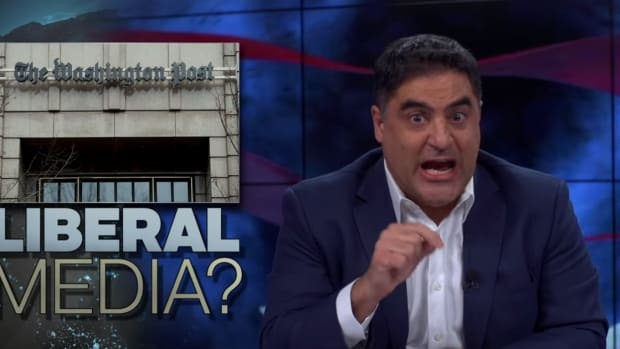 And Cenk fell for it. Hell, it&apos;s not even a net job gain -- Trump&apos;s deal still loses 200 jobs to Mexico. At least. If this is what we can expect from subgroups on the left, we&apos;re in for an especially horrendous four years.